Card Text Play: Exhaust up to 3 creatures. 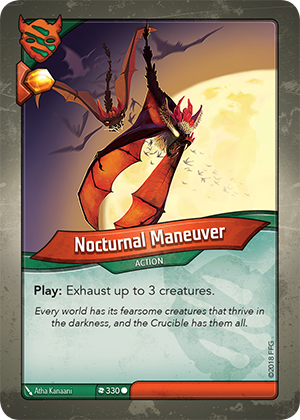 Flavor text Every world has its fearsome creatures that thrive in the darkness, and the Crucible has them all. Can I exhaust fewer than 3 creatures? Yes. “Up to 3” means you can choose between 0, 1, 2 or 3 creatures to exhaust.